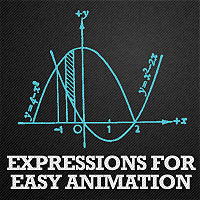 Mostly animations inside After Effects is created with keyframes. It might seam a convenient way to do it, but it’s much easier to achieve some animations with expressions. They give you bigger control or even allow to achieve things that would be nearly impossible to achieve by manual key-framing. 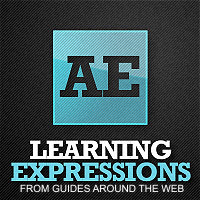 There are several, really handy guides to learn Expressions from, or sharpen you existing skills. Most of them are in written form (instead of video) and might seem harder to follow, but with Expressions that is what you need. The pure code is in front of you, you can read it, copy it, reuse it and learn from professionals. 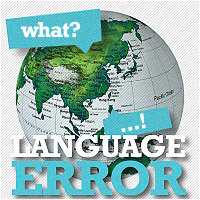 If you came across After Effects Project file that gives Expression Errors upon opening it might be that this project were created in different language. Here is why it happens and how you can fix it. 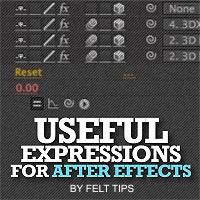 If you use Expression Controls in After Effects and either work in non-english version of AE or distribute your project files you might come across the error. When people open your project in After Effects that works in different language than what you had – they would not be able to use your project because of Expression error. Here is why and how to fix it. 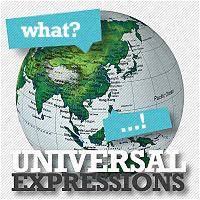 In this series VideoHive author Felt Tips is teaching some very cool and very useful expressions that are only a few lines long, but works like a million. His knowledge and the way he teaches is remarkable. Therefore everyone – from beginner to expert will benefit from his tutorials.